2016 proved to be a full and eventful year for Lowe Electrical. From achieving recognised ISO Accreditations to becoming a Finalist in the Electrical Industry Awards, our team here in Leicester enjoyed the results of their commitment and hard work. We welcomed three new Apprentices during 2016: Teale, Rhys and Ryan. They now join Nathan, James and Aaron on the 4 year Electrical Apprenticeship in association with Leicester College. In April we had the pleasure of meeting with Sir Peter Soulsby and Councillor Sue Waddington and discussed the training and job opportunities available with Lowe Electrical Contractors. The month of May saw our CHAS accreditation in place, sponsorship of the Anstey Runners and, who can forget the Leicester City Football Club Premiership celebrations?! Lowe were thrilled to be involved in the electrical requirements throughout the City and at Victoria Park for the Kasabian concert that ran seamlessly for the 240,000 crowd. From July to April we supported the unsung heroes of Leicestershire as headline sponsors. The Awards ceremony held at the King Power Stadium was a memorable evening listening to many stories of bravery, kindness and selflessness. In August we were registered as Construction Line suppliers, we were delighted to sponsor the Leicester College Construction Awards for the Apprentices and after putting together our pitch; became honoured finalists of the UK’s Electrical Industry Awards as Electrical Contractor of the Year. After many months of hard work our EXOR Gold Accreditation was retained and we achieved our ISO9001:2015 Quality Management Award. 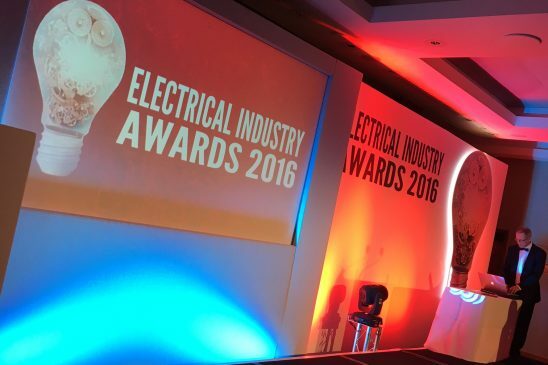 In October Lowe Electrical achieved a Highly Commended second place as the UK’s Electrical Contractor of 2016 at the Electrical Industry Awards, which took place in Kensington, London. We ended the year with achieving our ISO14001 Environmental Accreditation on 22nd December. Amongst all of the above achievements our Contract Managers and Engineers delivered outstanding work for De Montfort University, University of Leicester, Leicester City Council, Amtech Taylor Hobson, Vinci Facilities and Tokio Marine HCC to name just a few. Needless to say we are excited for the start of 2017 and improving on last year’s achievements, welcoming more Apprentices to our team and supporting and servicing the local community of Leicester.